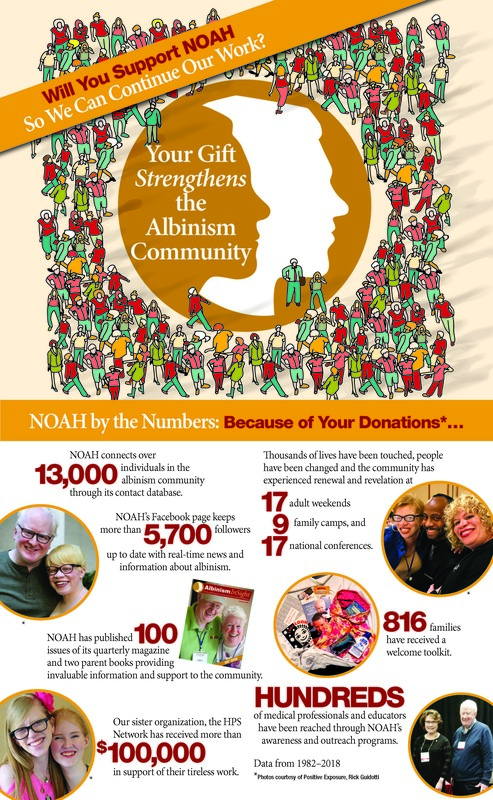 You can make a difference in the lives of those living with albinism by donating to NOAH. parents who face the obstacles that come with educating a child with low vision due to albinism. NOAH fulfills its mission through these programs which provide information and support to those living with albinism, their families and the professionals who serve them. Your Gift Directly Benefits and Strengthens the Albinism Community! For more information about NOAH including vision, mission, history, milestones and finance visit “About NOAH“.